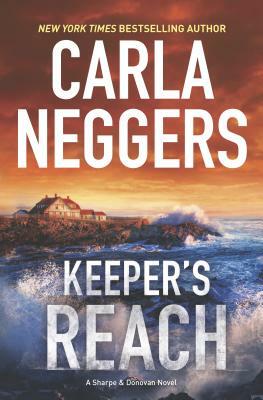 New York Times bestselling author Carla Neggers returns with this absorbing, twisting tale of suspense, romance and fast-paced action, the latest in her popular Sharpe & Donovan series. Emma Sharpe and Colin Donovan, two of the FBI's most valuable agents, are preparing for their next big assignment--their wedding--when Colin's brother Mike alerts them that onetime friends from his military past are on Sharpe and Donovan home turf on the Maine coast. Now private security contractors, they want to meet with Mike. One of them, an FBI agent named Kavanagh, is supposed to be on leave. What is he investigating--or does he have his own agenda? Mike zeroes in on Naomi MacBride, a freelance civilian intelligence analyst who, aside from a few hot nights, has never brought him anything but trouble. Newly returned from England, Naomi clearly isn't telling Mike everything about why she's snooping around his hometown, but he has no choice but to work with her if he wants to uncover what's really going on. But the case soon takes a drastic turn--Emma is targeted, and a connection surfaces between Naomi and Kavanagh and a recently solved international art theft case. Not every connection is a conspiracy, but as the tangled web of secrets unravels, Emma and Colin face their greatest danger yet. With everyone they know involved, they must decide who they can trust...or lose everything for good.